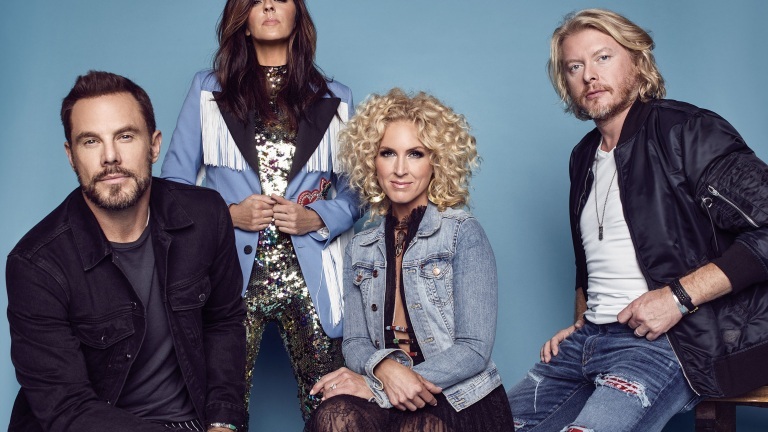 Hot on the heels of their wildly successful album Tornado, Little Big Town’s prescription for continued success and creative drive is in their sixth album, Pain Killer. The two years since Tornado’s release have proven to be the most formative and motivational for the inspired family of artists, together since 1998. 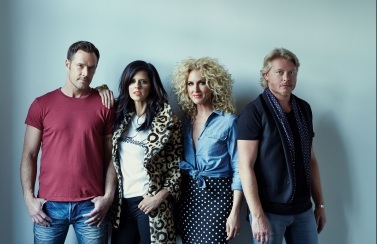 In the short time since Tornado, Little Big Town earned two number one radio hits with Tornado and Pontoon, a Grammy, two ACM and three CMA awards and an Emmy. They also found time to headline a sold-out tour, join Keith Urban across North America and host the CMA Music Festival: Country’s Night to Rock twice. These hard-earned accolades and new opportunities provided a steady dose of inspiration at every turn, leading them to a fresh and very intentional approach to their latest studio album. They co-wrote most of Tornado’s songs as a group and knocked out production in a matter of weeks, whereas the road to Pain Killer was significantly longer in the making, and much more calculated. 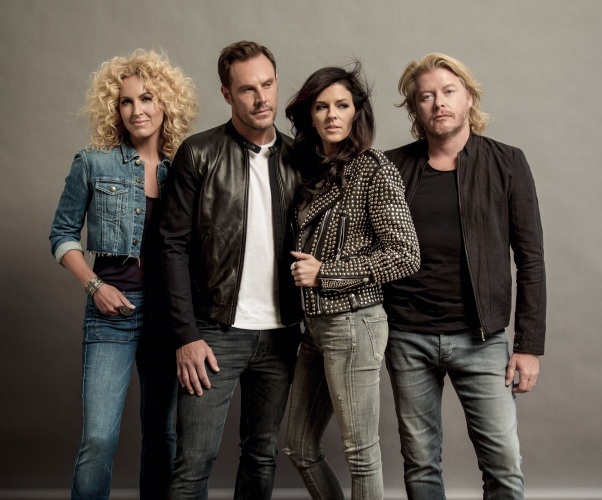 LBT intentionally began writing and curating their songs early in their tour for Tornado in May 2013. They followed the creative energy wherever it flowed by splitting into different writing combinations. New voices, including Ryan Tyndell, Blair Daly, Jeremy Spillman and Shane McAnally, joined long-term LBT collaborators, such as Hillary Lindsey, Liz Rose, Lori McKenna, Jedd Hughes and Natalie Hemby. As a result, Pain Killer covers all new territory for LBT. The band and its writing and production partners favored multi-layered effects. They drew from a mix of influences including vintage 50’s country, 70’s country, funk, groove, a cappella, bluegrass and straight up rock n’ roll. This evolution of LBT’s sound is the outcome of their free reign to write and craft as they chose, making Pain Killer as uninhibited as their creative process. “We don’t think about boundaries anymore. We let go of that because it doesn’t work for us. We do better when we’re freed up,” Karen says. 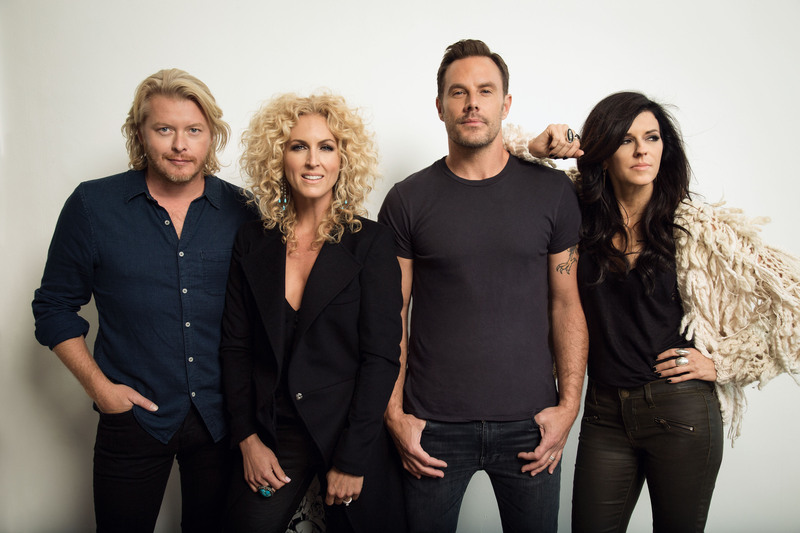 Pain Killer proves LBT has a strong command on the courage it takes to create. “We have learned to trust ourselves. It’s confidence and experience. We’re braver than we’ve ever been on this record,” explains Kimberly Schlapman. The bonds LBT and producer, songwriter and musician extraordinaire Jay Joyce formed when producing Tornado carried over seamlessly into the creation of Pain Killer. This relationship, combined with the unstructured writing process and the use of their road band in the studio, gave way to a new adventure in experimenting with sound. Today’s recording standards are streamlined and corrected, manipulated and often times overpolished. Joyce makes music very differently, as found throughout critically acclaimed partnerships with artists such as Cage the Elephant, Amos Lee, Eric Church and Emmy Lou Harris. One sign of a successful collaboration is simple: LBT still listens to Pain Killer and hears sounds and effects they never noticed before, an experience musical craftsmen the world over are sure to envy. The provocative album has something for everyone: A treatment for the broken heart or the shattered spirit, a rally cry for those exhausted by love yet still inspired by it, a testament to the enduring hope of a long relationship, a promise of perseverance and a shot of good, old-fashioned fun. Pain Killer leads off with “Quit Breaking Up with Me,” a power pop anthem for those infamous on-again / off-again relationships that are plagued with drama and indecision. “It has so much attitude!” says Jimi. 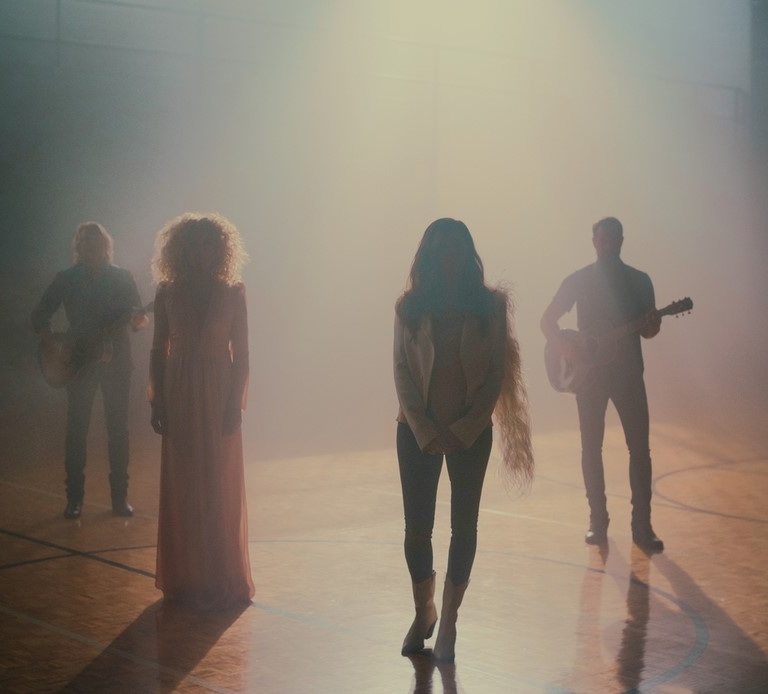 Written by Busbee, Natalie Hemby and Shane McAnally, it’s laced with punk, a shot of rock and rolls with LBT’s characteristic country sass. “Day Drinking” was the first song LBT wrote as a group for Pain Killer, along with Troy Verges and Barry Dean, and is the album’s first single. Its fanciful marching band and quirky whistles work together brilliantly to create a playful song of summer. “People are genuinely happy when they hear it,” adds Phillip. 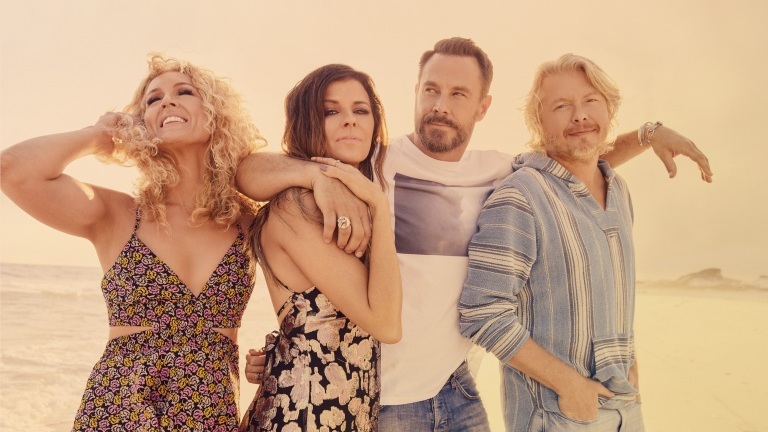 “Day Drinking” set the tone for the album, motivating LBT to innovate with each new song. Recently selected as “Song of the Week” by USA Today, this first single continues to climb the charts. 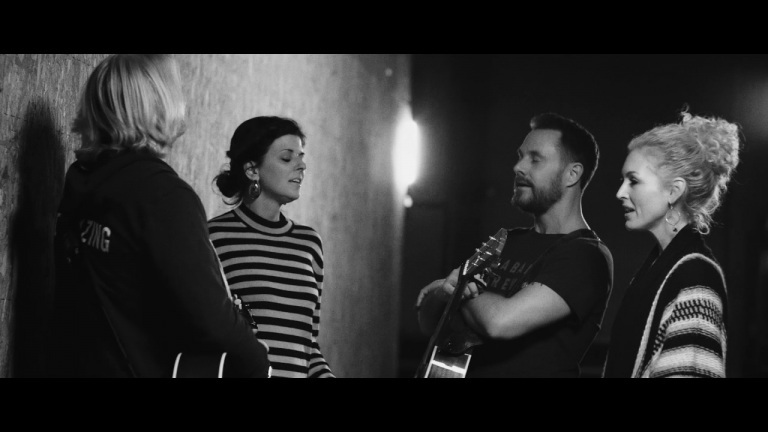 “Tumble and Fall,” written by the ladies of LBT and Lori McKenna, Liz Rose and Hillary Lindsey, is a promise to persevere in a relationship despite the challenges and offenses that naturally arise. “It’s a reminder to be humble. Be vulnerable. It’s a peaceful song,” Kimberly adds. Featuring Jimi’s vocals and Kimberly’s soaring harmonies, “Tumble and Fall” is both heartfelt and delightful. 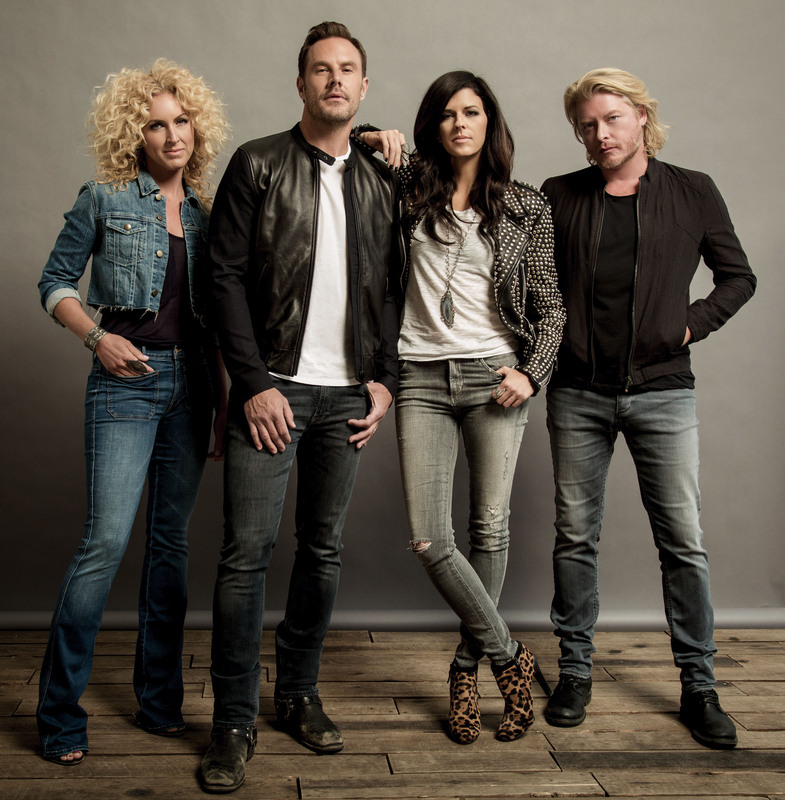 LBT knew early on in song selection that “Pain Killer” would be the title track. “Music, like medicine, can be a vice, a drug, a muse. But in this case, “Pain Killer” refers to the love drug,” says Karen. It is the magic potion made real, solving all problems with one fell swoop and intoxicating in the best way. Written by Karen, Jimi, Blair Daly and Lindsey, it is an upbeat, reggae-tinged tune perfect for a road trip, best enjoyed while riding with one hand out the window or on the back of a lover’s neck. 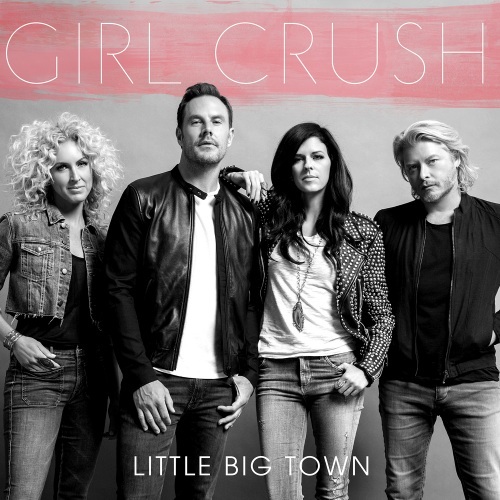 Perhaps the most affecting, jaw-dropping track is the down-tempo “Girl Crush.” This attention-grabber is stripped down to a power vocal with sparse backing. Karen’s soulful voice finds a fitting showcase against a retro beat, echoing the sounds of Patsy Cline and her contemporaries. Written by McKenna, Rose and Lindsey, it is one of the few songs to which every woman can relate. “’Girl Crush’ is one of the most brilliant lyrics I’ve ever heard. It takes a modern phrase and turns it at the hook. And it’s empty in the right places. It gives me chills every time I listen to it because the raw emotion really comes through,” Jimi explains. One of the more cinematic and barrier-breaking tracks is “Faster Gun,” written by Jeremy Spillman, Ryan Tyndell, Jimi and Phillip while in “dude mode” in the perfect place for men to be men – a man cave, conveniently located at the studio. “Faster Gun” is one of the best examples of new sounds and layers for LBT. It sounds like a Tarantino flick – raw and liberated. “I could see it playing in my head like a trippy, acid western. It’s completely different than anything we’ve done before,” Phillip says. 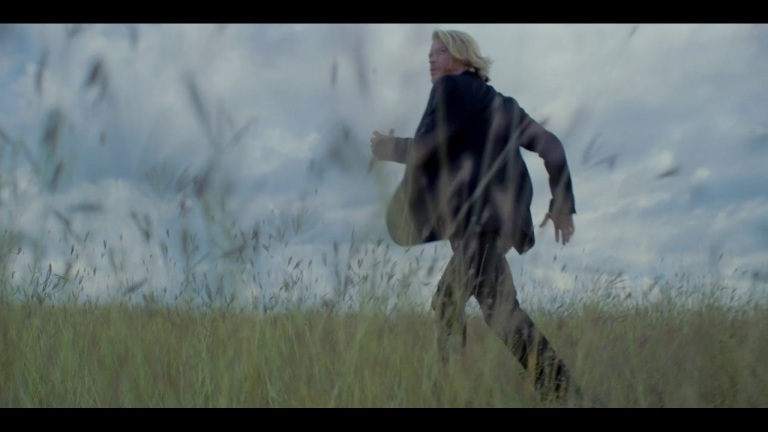 “Faster Gun” is the track that showcases LBT in a totally new light. “Good People” is a musical high five to partners in crime and is the glue binding all of the tracks together. “We fell in love with it the minute we heard it. It felt great and we needed a moment like this on the record. It brought it to life,” Phillip says. Joyce, Hemby and Spillman wrote the song which spotlights Kimberly’s pure-tone soprano. This track is a gift to any friend who not only knows where the secrets are buried, but helped bury them. “Stay All Night” is upbeat, totally rockin’ and full of life. “I love the groove. The phrasing is rapid fire and very rhythmic. It’s funky cool!” explains Jimi. “I’m so excited it made the record. The girls have lungs for days!” Written by Jimi, Phillip, Brent Cobb and Jason Saenz, “Stay All Night” is the party song fitting for a no-holds-barred night out. Jimi’s vocals cranked the dial to 11 while Joyce tuned guitar strings to one chord and used the entire instrument as a horn. Full of personality, “Stay All Night” is a shining example of sonic details masterfully woven. Written on the road in a dressing room by the whole band with Spillman and Tyndell, “Live Forever” features the traditional harmonies that first attracted fans and critics to LBT. “It is the epic love song,” says Phillip. “Live Forever” is a master class in harmonies. It is the beautiful and profound track that anchors the album and expands on the talent the world has come to expect from Little Big Town. In contrast to the classic LBT song that is laced with romance and sweeping vocal harmonies, “Things You Don’t Think About” is “total sassville,” says Kimberly. Written by Hemby, McAnally and Ross Copperman, it begins with a sparse groove followed by a chilling down beat. “You feel this arresting, visceral energy the moment it comes on. It’s a killer song about not taking someone for granted,” Phillip adds. 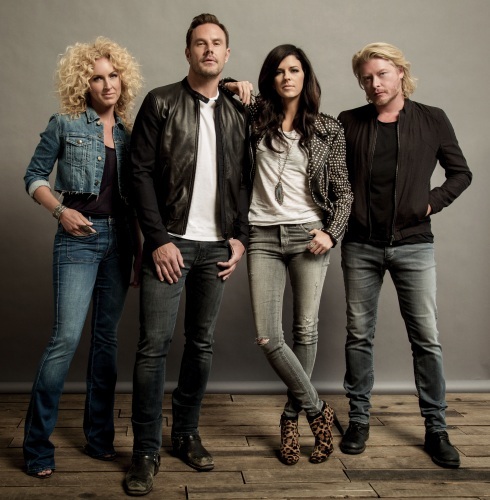 Little Big Town deeply understands and respects the creative process. 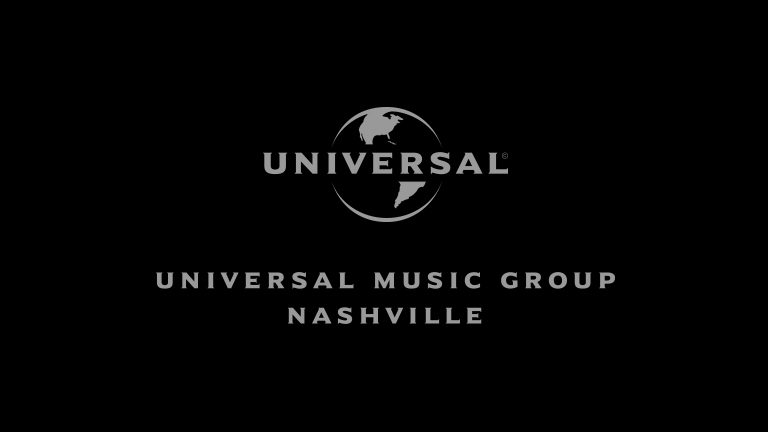 They know the challenges a creative spirit faces in an unforgiving music industry. With this is in mind, they set out with Spillman, Hemby and Joyce to write a wake up call, “Turn the Lights On.” This hard-driving, rock n’ roll hymn is especially for those brilliant minds that have to continually hear “no” before they ever hear the “yes” that changes everything. It’s an inspiring and over-the-top reminder to anyone to get up off the mat and keep going. “Standing up for yourself as an artist is the hardest lesson to learn. Artists aren’t always nurtured once they become part of the business machine. It’s a lot harder for solo artists, but we have each other for the gut check,” says Karen. 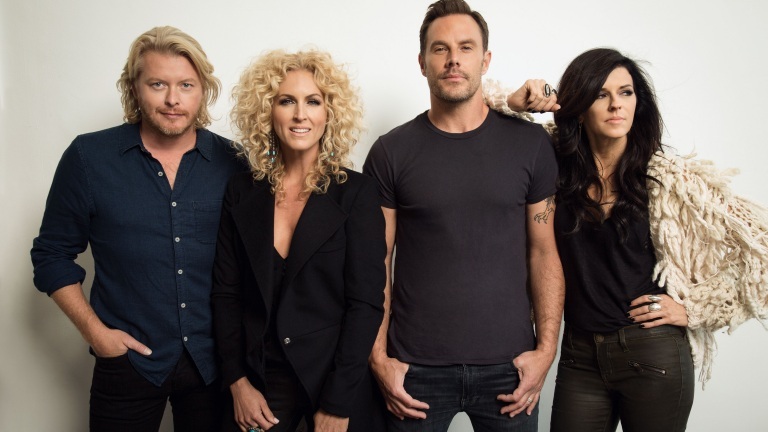 The album’s coda, “Silver and Gold,” is a poetic, quiet song starring the characteristic LBT harmonies that have never been lost or lessened by time or circumstance. Karen, Kimberly, Joyce and Jedd Hughes penned it under the stained glass in Joyce’s church-turned-studio. Kimberly says, “Jedd Hughes is a poet and inspiration.” A simple, sonic masterpiece backed by a solo acoustic guitar, “Silver and Gold” is an encouraging reminder for a heavy heart that good still lives inside. “The vocals just wash over you,” says Phillip. 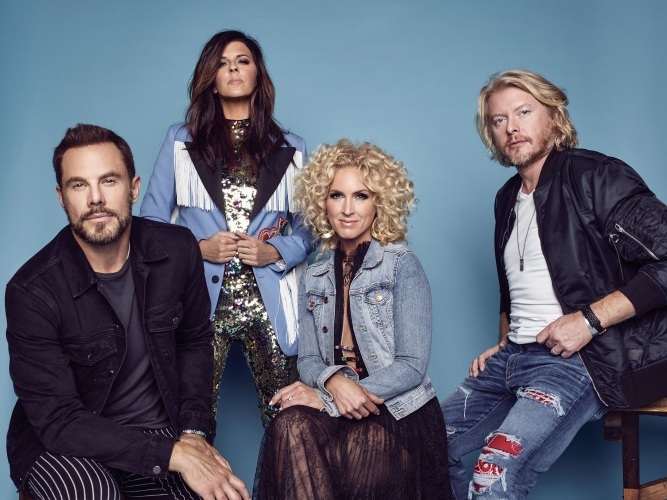 With a keen focus on different vocal and writing configurations, LBT again astounds its fans and critics alike with harmonies that are typically found among voices sharing the same DNA. Their strengthening relationships and maturity earned over 15 years together all come together in this masterful production. A remedy for everything that ails any listener, Pain Killer is an antidote of anthems and inspiration to heal even the most tortured heart. It is one big love letter to Little Big Town’s fans.